If you happen to be in Bellingham, WA. 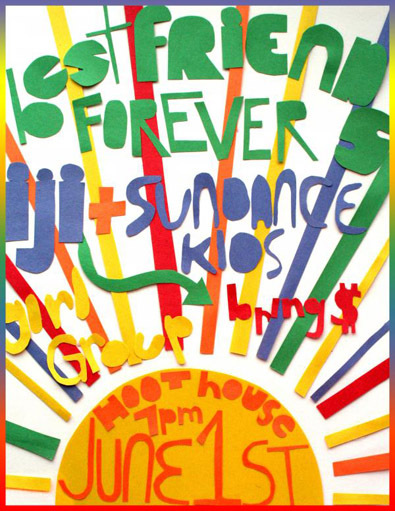 tonight (Tue, June 1) Best Friends Forever, Iji, Sundance Kids, and Girl Group are playing at the Hoot House. Today we have the song New Friend by Iji.